Woman is the most beautiful creation of the God! The traditional wear of women Sarees increases the beauty of a woman, It’s the most sensuous outfit which makes a woman attractive and charming. Sarees are the favourites of women of all ages as there is a gamut of attractive fabrics designed for every taste and preference. Made of different types of cloth with designs in contrasting colours they add vibrancy and elegance. No matter how many sarees women have but every women wants to have the most beautiful sarees in their wardrobe. 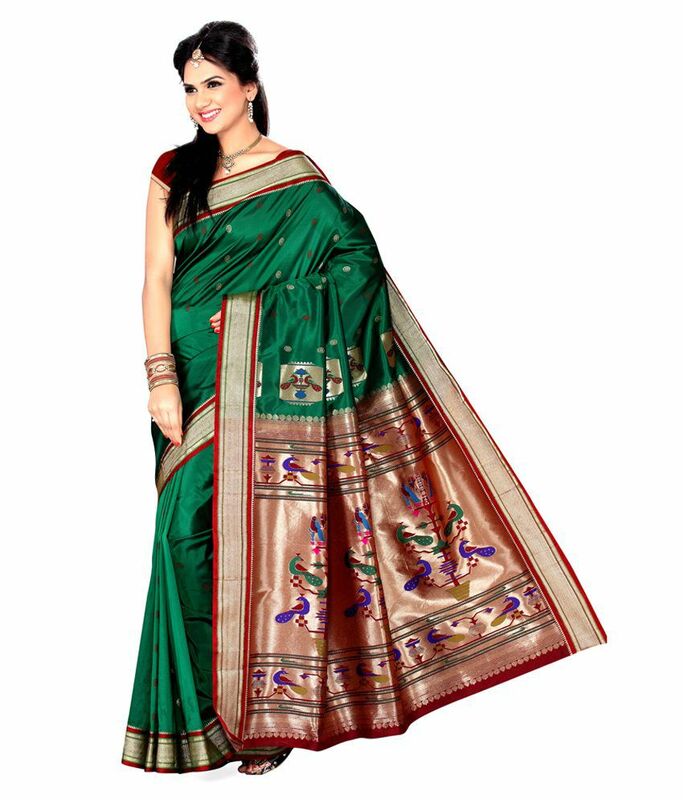 Plain sarees with beautiful borders with zari or thread work are in great demand. Cotton sarees are used for daily wear and there are specially made sarees for weddings and other special occasions. They are made with silk, art silk, faux chiffon, georgette, jacquard, net etc. The party wear sarees are decorated with zari and other applique or embroidery work done with dori, stone, sequin, beads, kundan and booti work. The best choice for weddings is the silk saree with zari work and borders with imaginative designs and the gorgeously decorated pallus. 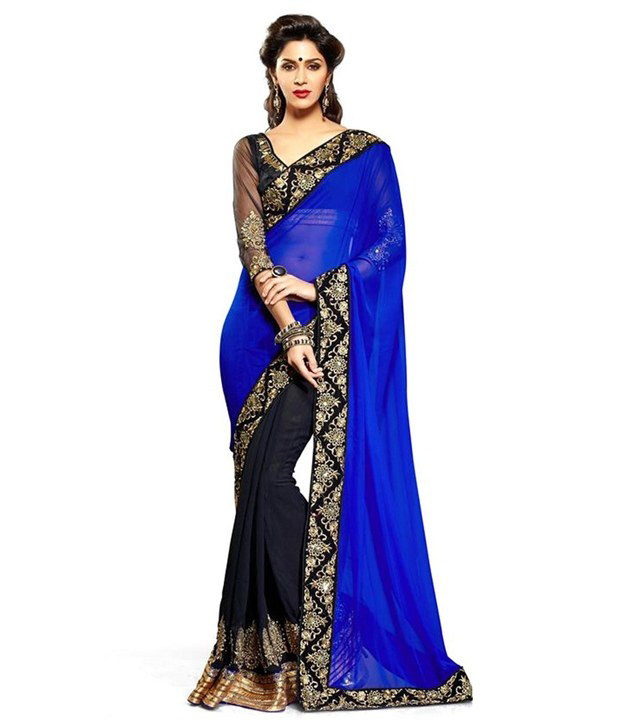 The designer sarees add sensuality and sophistication to the wearer when worn with suitable accessories. 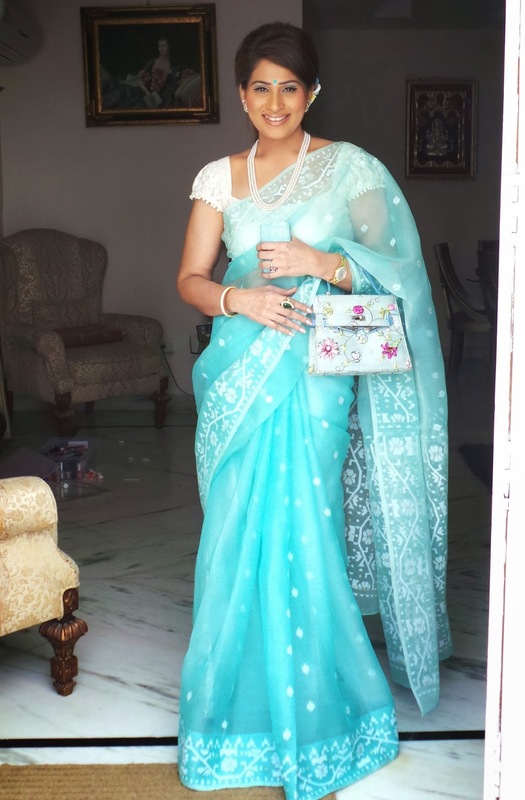 If you are a saree fanatic, then you wouldn’t be excited wearing the same saree pattern over and over again. Variety is the main thing that keeps itching our fashion nerve. So what would excite you better is sporting different types of Indian sarees! 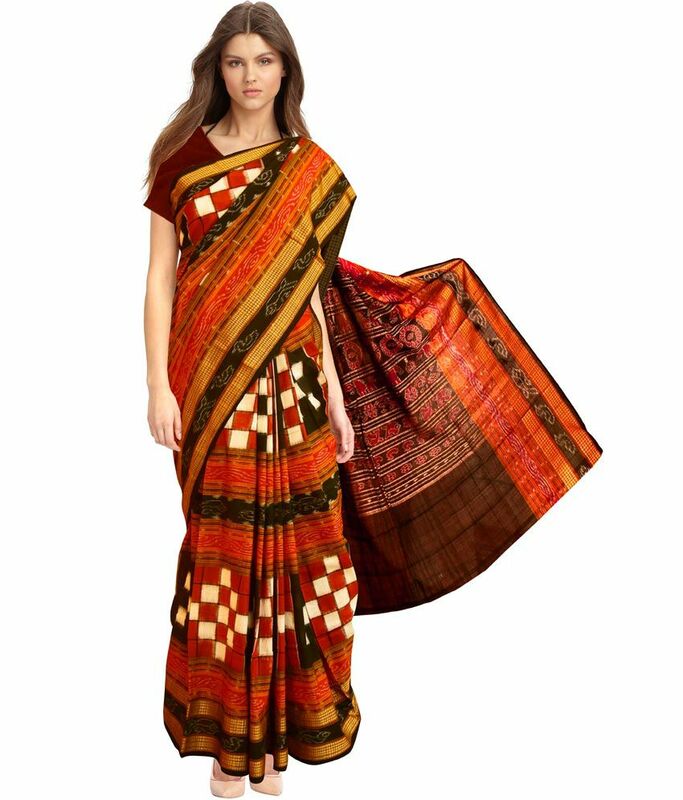 Women around the globe including distant foreign town also manage to give a little hassle to wear sarees for their traditional or special occasions. This garment is taken special care to be weaved with threads of fine fabrics and finishing off with mind blowing patterns. Draping also takes a special space in the world of this ethnic outfit. Nowadays women or fashionistas take sarees as a style statement or for one time gaga looks. 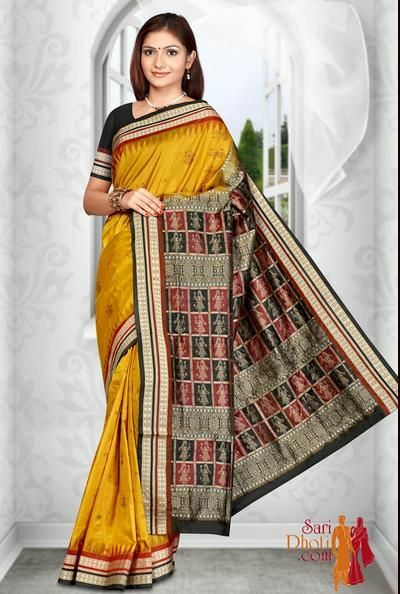 However, there are specific sarees which are more specifically designed and woven for individual occasions and reasons. What if you can garner yourself into the pool of diversity of sarees for your every event? I’m sure you will definitely skip a breath. 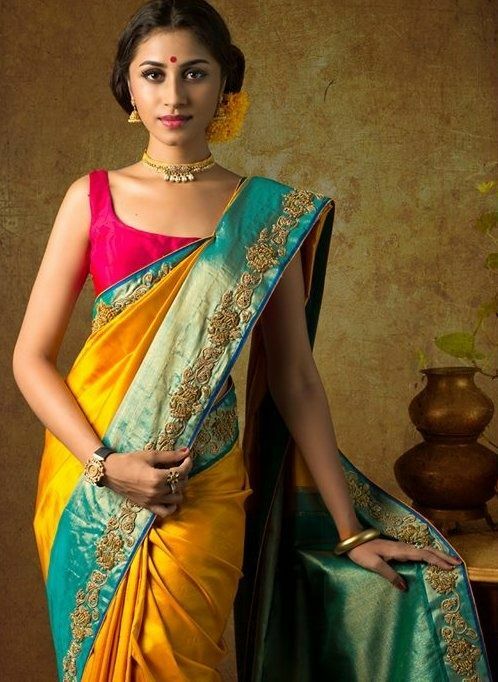 For instance, Kanjeevaram or Banarasi silk sarees are vehemently sorted collection of sarees used in Bengali wedding, every type of drape has its own unique trend to carry on. A wide drape and choosy colours made your whole draping a legacy to celebrate round the season and year. An integral part of north Indian sarees, Banaras brocade came into existence during the Mughal era. Most of the designs are influenced by them in the form of floral and foliage motifs, bel and kalga. Yes, there is a signature version to Banarasi Brocade – Jhaalar which is a narrow fringe like pattern that makes the inner and outer border. This fringe is quite similar to a string of leaves. Kota is a famous place in Rajasthan that is popular for Kota Jali or Kota Darai sarees. Light-weight and transparent, these sarees are made in small villages in and around Kota. Being airy in nature, they are ideal for summers and drape around you gracefully. The weaves have different yarn gauges creating a checkered graph like pattern called ‘Khats’. Besides the cotton version, you can also experience Kota in silk. This is a specialty saree from Tamil Nadu. 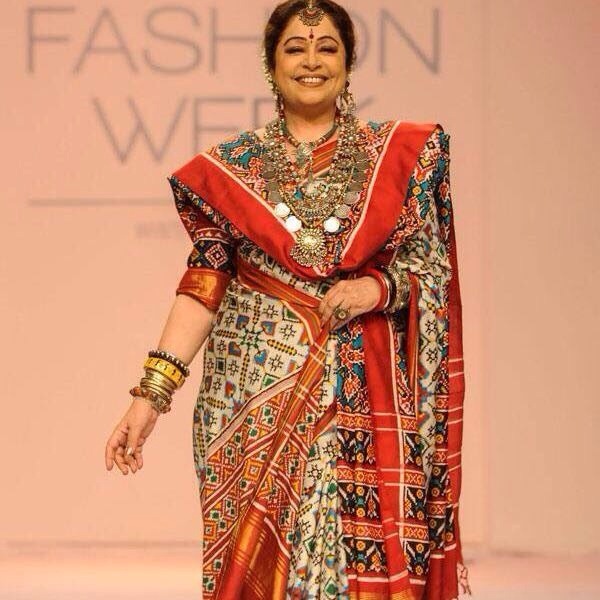 Also known as Temple Saree, it used to be draped on the Gods and Goddesses in the temple. The striking part about Konarad saree is the wide borders and wedding-inspired motifs that form an integral part of its design. Motifs such as peacocks and elephants symbolise water and fertility. Konrad south Indian sarees are normally found in earthy shades of browns, off-whites and grays. 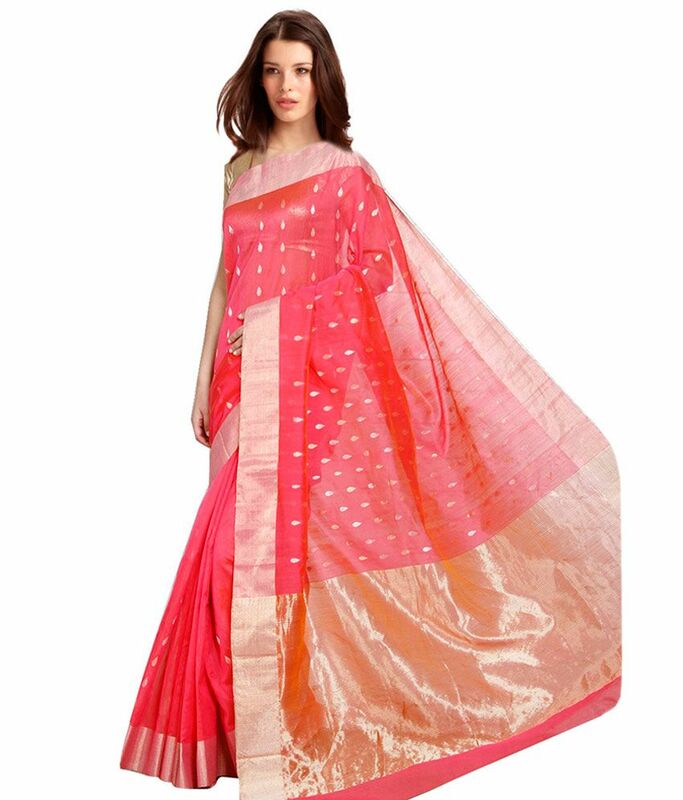 This is a type of south Indian sarees that is not only popular in India, but also across the world. Kanjeevaram or Kanchipuram sarees stands out owing to its gold dipped silver thread that is woven on the silk. 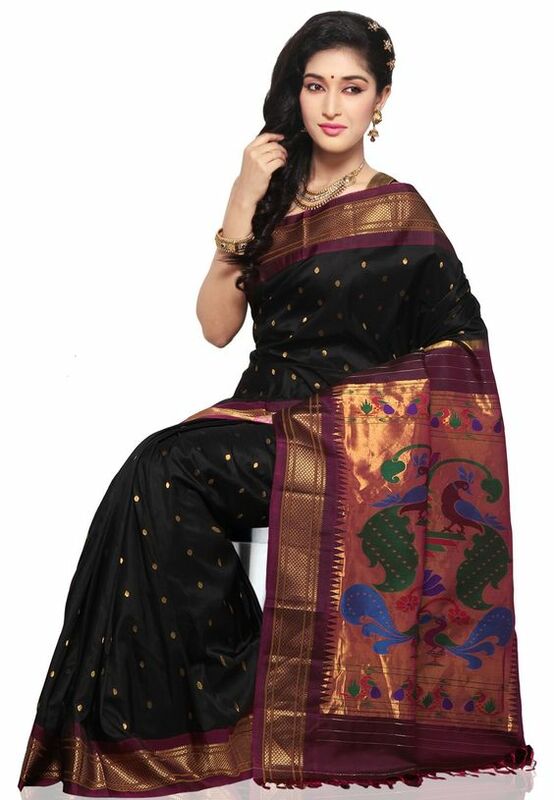 Known for their durability, the silk base of these sarees is thicker than any other silk saree. Peacock and parrot is a common design motif found in Kanjeevaram sarees. This 5 yard saree from West Bengal’s Murshidabad district comes in bright colours such as flame red, purple and deep blue. 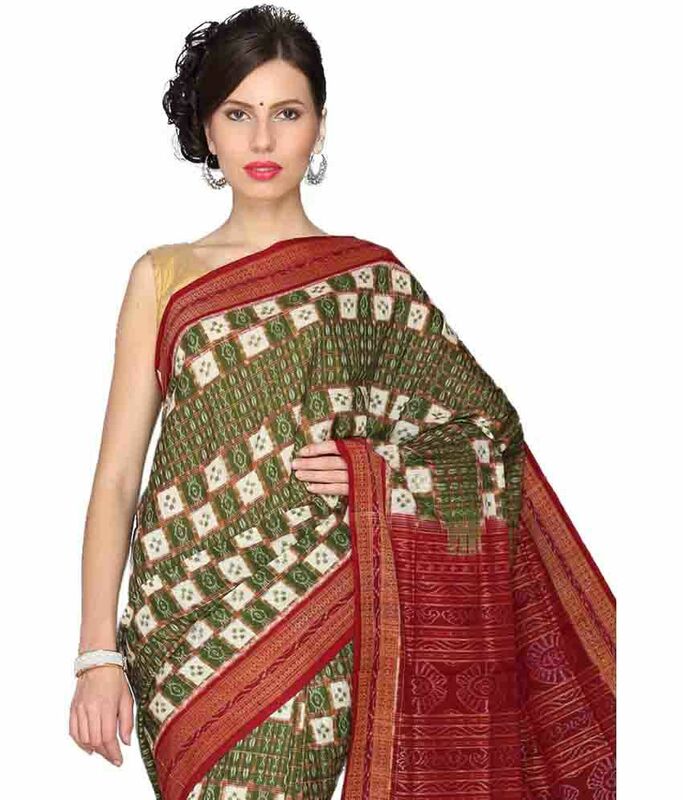 Made of silk and woven on looms, Baluchari sarees are 200 year old. Interestingly, these sarees depict tales from Mahabharata and Ramayana epics. The field of the Baluchari saree has small butis, and a floral design runs across the edges. The word ‘Taant’ means “Made on the Loom”. So you can imagine the beauty of this Bengali masterpiece popularly called Bengal cotton. That is why, its the first love for cotton lovers. Taant saree stands out for its diversity and uniqueness in colours and appearance.Bengal is the best place to buy crisp cotton sarees that are known as Tant. 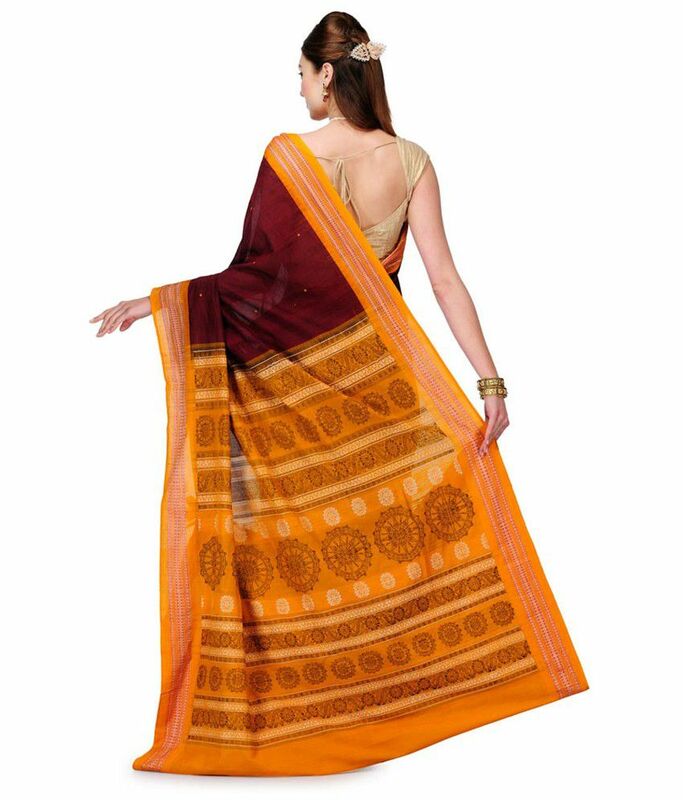 The specialty of this saree is that it is stiffly starched and contains excellent workmanship. The name Kantha is associated with the embroidery, not the fabric used in the saree. Kantha embroidery is all about decorative motifs with running stitch. That is why the cloth has running stitches all over and has lovely floral, folk, animal and bird motifs. 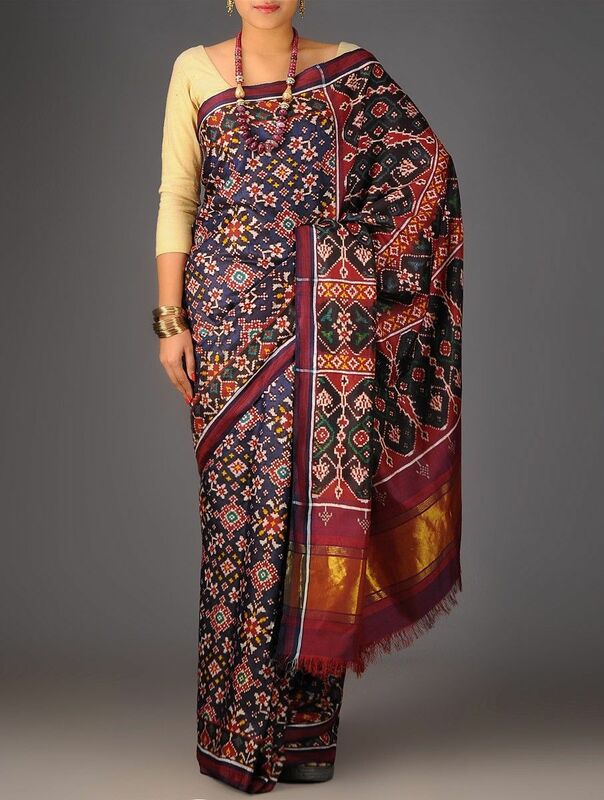 Kantha art keeps rural women of West Bengal engaged, leading to wonderful sarees that shows their hard work and labour. Also known as Sonepuri sari, a Bomkai saree is a unique woven sari from Odisha. The original weaving is made in low-count cotton yarn which is generally heavy, coarse and dyed in intense colours. Sambalpuri or ‘Ikat’ is the pride of Odisha. This pure handloom sarees is available in cotton, silk, and Taussor. This famous saree popular in Rajasthan and Gujarat involves tie and dye technique. Also called ‘Bandhej’, it involves plucking the cloth with the fingernails into several tiny bindings, that end up forming a figurative design. A Bandhani saree stands out for its unique and colourful look which makes it apt for the Indian summer. 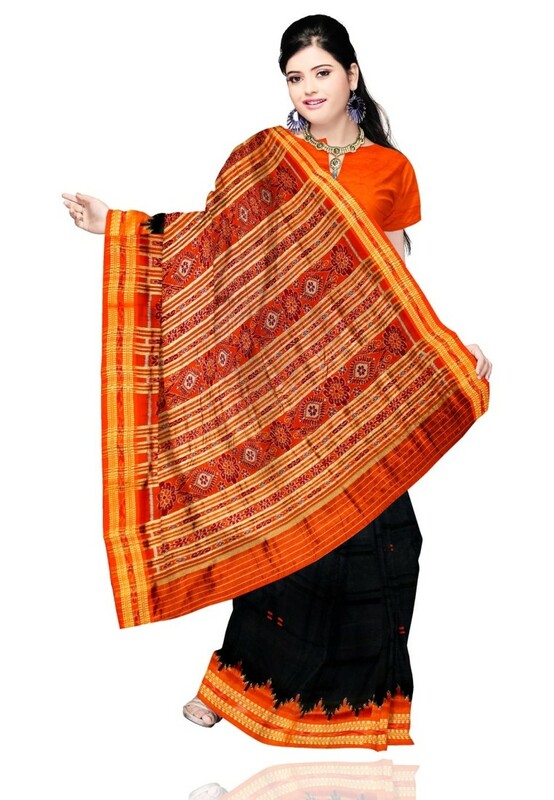 Getting their name from the Patan District of the state of Gujarat, splendid Patolas are rich handloom sarees. The real art of weaving a Patola saree is a closely guarded family tradition of weavers in Patan/ Rajkot area. Paithani is the famous silk saree of Maharashtra. It is said that in the time of the great Maratha kings, real gold thread was used to embroider these sarees, designs which are signature to the saree are parrots as motifs. Lehariya is popular tie and dye art that works with wave (lehar) pattern. Vibrant and bright, Lehariya sarees are a burst of colours, and I love them for all their multi-hued glory. Kalamkari means an artistic creation made by pen (kalam). 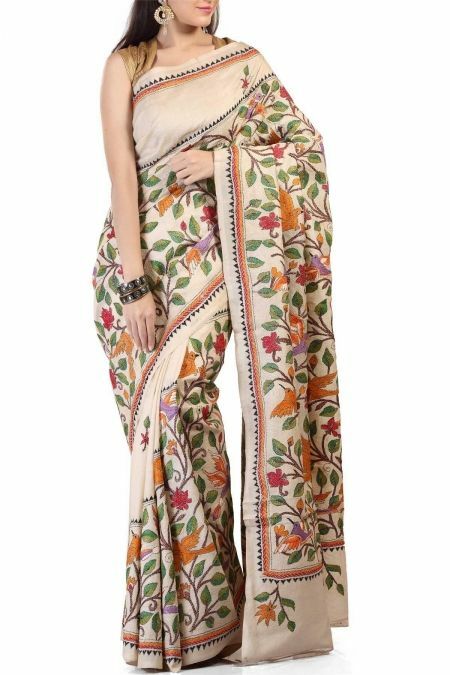 Kalamkari saris are supposed to have hand painted designs, but printed Kalamkari saris are also available. Inspired by Hindu mythology, ancient caves and sculptures. Organza or Organdy is yet another popular variation of Uttar Pradesh. The fabric is light and transparent. Organza sarees with embroideries are found in Lucknow and Kanpur. Jamawar sarees belonging to Uttar Pradesh, it is the zari thread embroidery in it that makes them stand out. The signature touch in Jamawar is the jacquard weave that’s done in bright colours such as red, orange, and green. This pure handloom sarees is available in cotton, silk, and Taussor. Chanderi Sari is one of the most favorite saree of Indian women,made with mix of silk and cotton. Due to very light weight and easy to carry, its become one of the most ideal and first choice of India women made in Madhya Pradesh. Chiffon sari is the most elegant saree among all other Indian sarees. 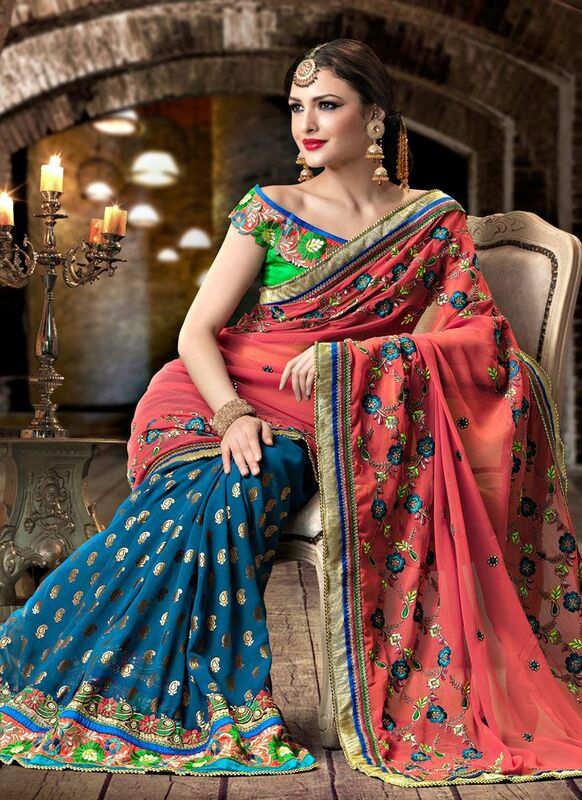 The fabric Chiffon Sarees are most popular because of its trendy look,unique quality and easily available in numbers of colors with embroidery. Chiffon is made from cotton,silk and synthetic fiber. Georgette Sarees is one of the most affordable saree for Women and easily available vast shades with ornamental work. Best feature of Georgette Sarees are easy handling, washable and can be worn in every style and lovely prints which makes it very first choice of air hostess. The all-time favorite net sarees are made from different nets like soft and hard net, and the most fascinated saree among all sarees. Due to its glamorous look and comfort feel it’s become a hot wear among the young girls as well as women. These are the Different Types of Sarees brought to you by SIZZLING GLAMOUR. For any query or Inquire comment below, don’t forget to share this post. XOXO! so beautiful sarees dizion this blog is very usefull to all fashion grils. Thanks for sharing such a brief post. Pictures are so beautiful. Sizzling Glamour Copyright © 2018.